The Beneath Heat ‘20mm Floating System’ has been developed to be used where screeding is not an option. 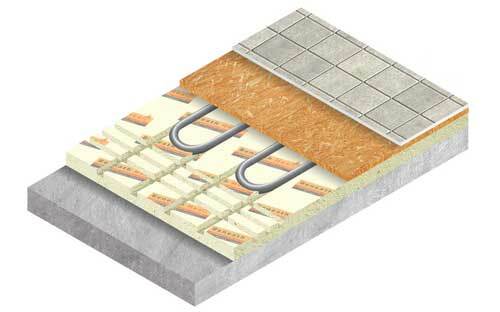 The Beneath Heat ‘20mm Floating System’ is used for solid existing floors. 20/25mm Foil faced floor panels are to be laid. Beneath Heat pipework is connected to the manifold, filled & tested in preparation for T&G or plywood to be laid. Interlocking laminate or hardwood can be directly laid onto the insulation board. If tiling / carpeting a separation layer needs to be applied (18mm T&G OR ply).